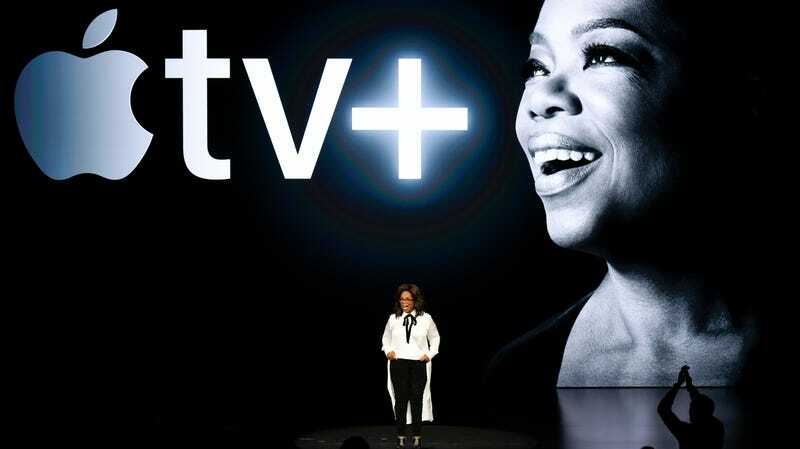 Oprah Winfrey speaks during an Apple product launch event at the Steve Jobs Theater at Apple Park on March 25, 2019 in Cupertino, California. I truly believe that good mental health—mental fitness—is the key to powerful leadership, productive communities and a purpose-driven self. It is a huge responsibility to get this right as we bring you the facts, the science and the awareness of a subject that is so relevant during these times. Our hope is that this series will be positive, enlightening and inclusive - sharing global stories of unparalleled human spirit fighting back from the darkest places, and the opportunity for us to understand ourselves and those around us better. I am incredibly proud to be working alongside Oprah on this vital series. Prince Harry, Duke of Sussex arrives at The Guildhall on April 4, 2019 in London, England. The show is, as of yet, untitled. While still in pre-production, royal correspondent Omid Scobie tweeted that the show will focus on “mental health, trauma, anxiety depression, post-traumatic stress disorder, and loss,” issues personal to both Oprah and Prince Harry.